Niessing is one of the top manufacturers of premium, contemporary German jewelry design. 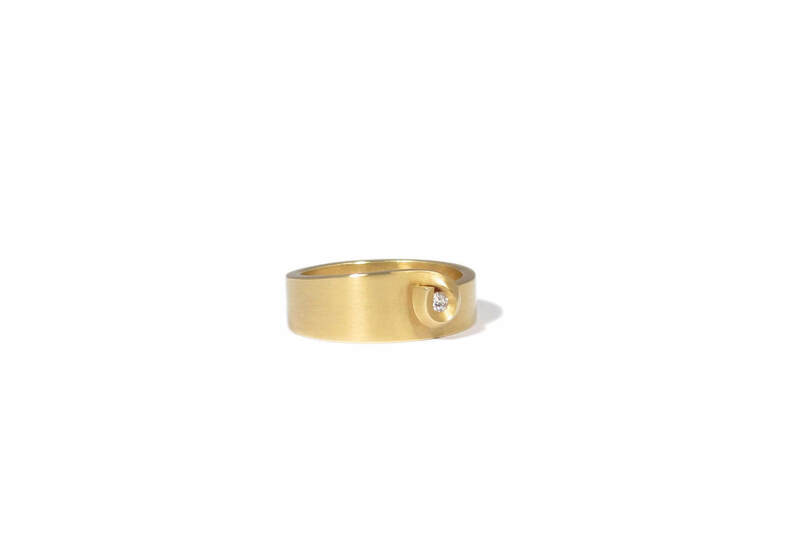 750/1000 yellow gold ring with a matte finish. The ring features a 0.05crt TW-VS brilliant cut white diamond.